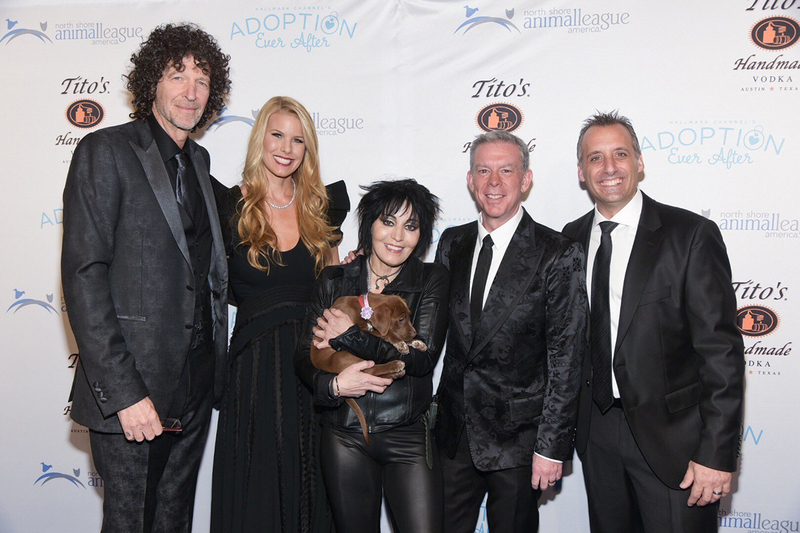 North Shore Animal League America, the world’s largest no-kill animal rescue and adoption organization, celebrated another year of animal rescue work at its annual Get Your Rescue OnGala on Friday, November 30th at Pier 60 At Chelsea Piers. This year’s evening was the coolest party in town, drawing attendees from all sectors of New York’s animal-loving community and beyond. Impractical Jokers star Joe Gatto served as host for the evening’s festivities where iHeart radio legend Elvis Duran received the Crystal Collar Award and Corporate Honoree Tito’s Handmade Vodka was recognized. The gala’s grand finale was a phenomenal live performance by rock ‘n’ roll icon Joan Jett And The Blackhearts. 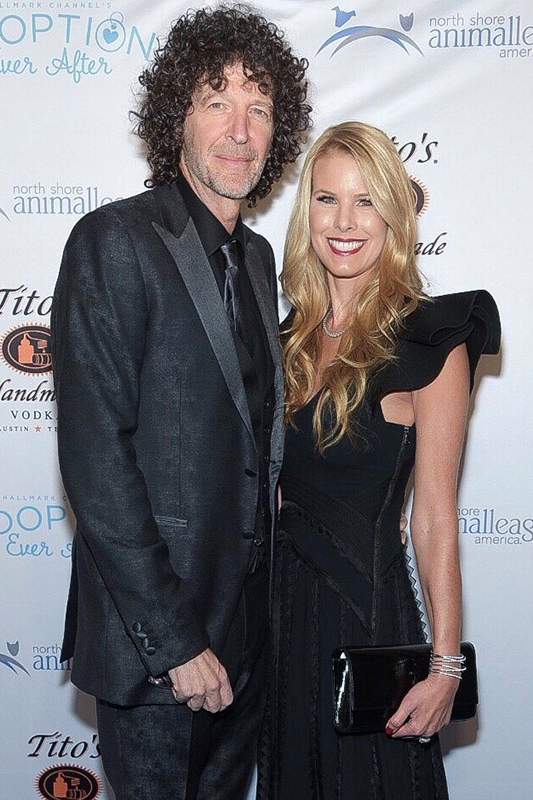 Among the “bold face names” to grace the red carpet, in addition to Beth and Howard Stern, were Radio Legend and Crystal Collar Honoree Elvis Duran; Impractical Jokers’ star and Event Host Joe Gatto; Rock ‘n’ Roll legend Joan Jett And The Blackhearts; The Howard Stern Show’s Robin Quivers and Gary Dell‘Abate; Impractical Jokers’ Brian “Q” Quinn; Stage, Film and TV actress, Kathryn Erbe; President & CEO, The Hallmark Channel, Bill Abbott; TV producer, entertainer and comedian, Brian Balthazar; WPIX-11 Anchor, Tamsen Fadal; iHeart Radio Personality Maria Milito; Comedian Lisa Lampanelli; iHeart Radio Personality Mo Bounce; Good Morning America Producers Tony Morrison and Danielle Librizzo; Good Morning America Correspondent Will Ganss; NY Yankees Play-By-Play Broadcaster Michael Kay and Broadcast Journalist Jodi Applegate; New York Live host Lauren Scala; Journalist/Author Carole Radziwill; Fashion Designer Mark Bouwer; Actor Branden Wellington; Jersey Shore Vacation’s Vinny Guadagnino; WPIX-11 Anchor Dan Mannarino; among others. Animal League America has saved more than 1,000,000 lives. As the world’s largest no-kill rescue and adoption organization, we understand that a rescue isn’t complete until each animal is placed into a loving home. Our innovative programs provide education to reduce animal cruelty and advance standards in animal welfare. We reach across the country to rescue animals from overcrowded shelters, unwanted litters, puppy mills, natural disasters and other emergencies and find them permanent, loving homes. Pet Adoptathon® is an initiative developed by North Shore Animal League America that, for more than two decades, has brought together the international animal shelter and rescue community to raise awareness of the plight of homeless pets worldwide and to find them loving and permanent homes. In 2017 Pet Adoptathon® included more than 2,000 participating animal shelters and rescue groups in 50 states (plus Puerto Rico, Washington, D.C., and the U.S. Virgin Islands) and internationally in Australia, Bolivia, Canada, China, Hong Kong, India, Peru, Philippines. The result was more than 30,000 shelter pets being placed in loving, permanent homes.